The elusive yet lovable rascal we all know and love has once again escaped to an incredibly busy and chaotic foreign location! He's been to the most disorganized circus ever, a ski resort where absolutely no one knows how to ski, and he's even been through time and space! 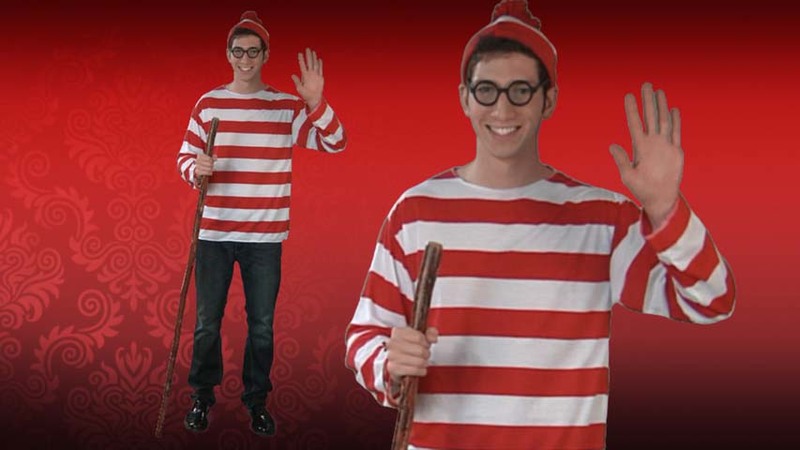 How on earth can we find him!? Well luckily every time he goes somewhere he leaves behind something until he's out of resources and we can finally bring him in for justice! Not even Waldo can escape the long arm of the law! His infraction, you might ask? He's wanted in 15 countries for the heinous crime of...LOITERING! Okay, maybe loitering isn't a dangerous offense, but we still need to find the guy! But where will he be hiding in this crowd? Is he behind the coconut tree? No. Is he behind the man juggling fire clubs? Wrong. Keep on looking! Get lost and stand out in a big crowd simultaneously! 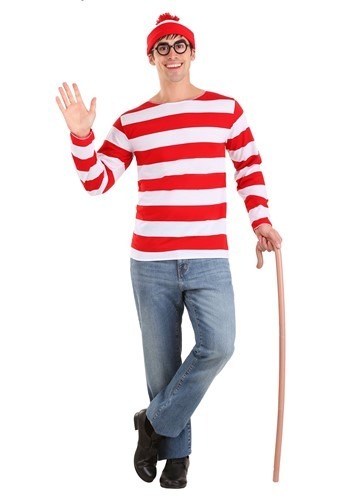 Become the red and white striped menace with the matching hat and everyone will be looking to meet you! Imagine a large Halloween party where everything is dark and a little crazy, you can make it a game to find you or even wear it to a large concert or music festival. Any place where there are people and activities in abundance this will sure to give everyone who finds you a good laugh. Grab the shirt and hat from us then throw on a sturdy pair of jeans and shoes and don't forget to bring some supplies (you might be on the run for a while). Wearing this classic Waldo outfit will get you instantly recognized as the character from the Martin Handford book. 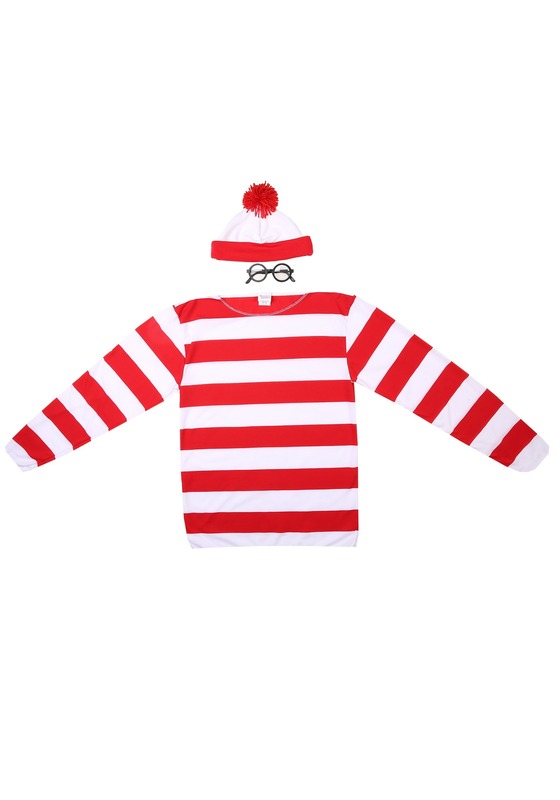 No matter how hard you try to hide in the crowd, people will be looking for that red and white striped attire!